Akasha has risen quickly to become a favourite among beer fans, with the brewery's hop-forward releases impressing the palates of many. If you want to sell beer for the brewery, currently Akasha is hiring a new sales rep for Sydney and New South Wales. Akasha Brewing Company, based in Five Dock NSW, was founded in 2015 and has quickly developed a reputation for producing some of the country’s favourite hop forward beers such as Hopsmith IPA, Freshwater Pale Ale and Korben D Double IPA. 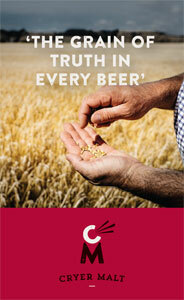 Akasha’s core values are based around high quality, consistent hop forward style beers. Our rapidly growing brewery is looking to appoint another sales representative in our home market of Sydney. The right person will help take our initial success to the next level, initially focussed on Sydney and regional NSW. The ideal candidate will be highly motivated with a passion for Independent Beer, a solid knowledge base and willingness to learn. This role will report directly to the National Sales Manager. If you think you tick all the boxes and would be a good fit for the Akasha team, we’re offering a competitive salary package and the chance to work with some great people in a rewarding environment. Please send your resume and a cover letter to beer@akashabrewing.com.au. Closing date for applications is January 4, 2018.